As a wife, I am always pressing into God on how I can show love to my husband. I want to grow continuously to love my husband more and to love him deeper. Men have a natural desire to be respected. As women we have a natural desire for love and affection, men reciprocate love as respect. We would kiddingly play, but my husband admitted to me, it means more to him when I show him respect above anything else. There are many ways to respect our husbands but my favorite way to respect my husband is by building him up! Looking to connect with your husband on a deeper level? One of the best ways of building your husband up is simply getting to know him fully. So, when’s the last time you and your husband had a really great, deep conversation about life and each other? 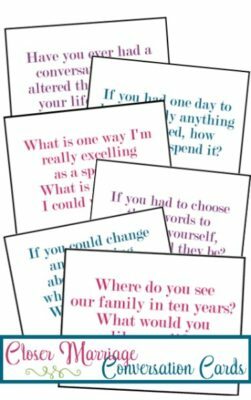 If it’s been a while, you’ll definitely want to check out these Closer Marriage Conversation cards – with 18 deep questions for couples that will help you both open up and start talking again – in a way that strengthens your marriage and draws you closer together. I want to be someone who builds my house up, not pulls it down. I am a broken woman striving to stay in God’s will and love my husband unconditionally. Due to my broken human nature, it doesn’t always come naturally; I have to be intentional on how I love him. 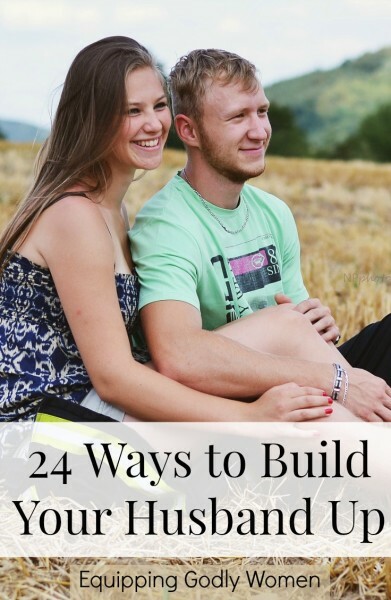 Below are some tips to help you intentionally build up your husband. These tips have been tested true in my marriage. First and foremost the key to loving and respecting my husband is putting Jesus first. I cannot love without the love of God. I need to fill up on Jesus, so I can love in supernatural strength. With God at the center, there are so many ways to build my husband up! Your husband is the ordained spiritual leader of your home. He has been ordained by God lead you spiritually. Encourage him in that position! After he prays for you, tell him you love the way he prays. Make comments about his prayers; let him know you were listening! If you do devotionals or read the word together, encourage him during that time. If he tithes money, tell him how much you appreciate his devotion to God. As you see him minister to others, remind him how much God uses Him. Give him scriptures that remind you of him. Remind him that he has a calling on his life. Read Christian Living books together, like Brittany’s book, Putting God First. Discuss it together. Men may never admit it, but they need encouraging just as much as we do. Shoot him a text while he is at work, telling him how proud it makes you that he is a hard worker. Show interest in him. If he worked, ask him how his day went, show interest in what he does. Tell him you respect him! Remind him how much you trust him! Take notice of his best characteristics, and bring them up to him. Tell him how much you love his personality. Tell him thank you for the chores he does, even if you EXPECT him to do them, thank him! Men get insecure. They want to know their wives are still as attracted to them as they first were. They want to feel wanted. It is important as a wife to build your husband up physically. Building them up physically will help keep the fire going. Remind him of all the physical things that attract you to him. Send him a text while he is at work; tell him you can’t stop thinking about him. Compliment him in the bedroom. Tell him how beautiful God created him! Make yourself look pretty for him. Nothing is wrong with putting on some lipstick and heels for your man! The traits you know he is insecure about, build those up. This will help build his confidence. Tell him the way he dresses makes him look attractive. The way we love each other should be a picture of how God loves us. God loves us by building us up. He loves us by telling us we are enough because He makes us enough. He loves us by encouraging us. Therefore, we should build each other up, not put each other down. Instead of nagging about the things I don’t like about my husband (which is so easy to do in my brokenness), I am encouraging the things I do like, which ends up making my husband a better man. When he feels respected and wanted he goes out of the way to do those little things I request. Let us be women who take notice of the characteristics we love in our husbands! Although we fall short, with Jesus in the middle of our relationship, we can build each other up. A man that knows His wife has confidence in him can move mountains. Your encouragement can help your husband step into his calling. It can encourage him to be the best him he can be. You, wives, have the power to speak life into your husband. You have the power to build him up or break him. We are called to build, and by building you show him respect, which he so longs for from you. What are you favorite ways to build your husband up? Leave me a comment below. Or try one of these tips and let us know how he receives! Love this! A great list. I am very intentional to compliment, thank, and encourage my hubby. I have a tendency to be emotionally high strung. But I try to keep my emotions in check when dealing with him because he then tries to fix whatever he thinks is wrong. We have to be careful of the burdens we lay on our guys, because the good ones want to fix everything if they can! Hi Bijee! Thanks for reading. I think it’s common among men to try to “fix” things. Women usually process by speaking and sometimes they don’t know what to do with what we spill on them! That’s great you compliment! A compliment is a great way to build our men up! I really loved this! Its sad to say, but after reading this, I’ve realized I’ve done a terrible job of building my husband up. I too have depression and anxiety, but I feel a switch in me and I feel Gods guidance on how to do better and you’ve given me some amazing ways to start, thank you. God corrects those He loves. But you know what the beautiful thing about walking with God is? His grace fills in! He is always there with endless amount of grace to cover and fill in for us, because we can’t love our husbands in our own strength. May we let his grace fill in! This is an amazing article! And your comment here is very true and I often forget that “with man this is impossible, but with God all things are possible” (Matthew 1:26). I love your list, but I have a brief modification to: “Tell him the way he dresses makes him look attractive.” This one made me cringe, as it could have disastrous results if your husband is sensitive or pays close attention to the exact words you speak (like mine does). Example: My husband started a business and was working 70-80+ hour weeks for a few months. He was so exhausted, he would just plop into bed after work and fall right to sleep, even before he’d eaten dinner. I got up with him every morning at 4:45am, made his coffee, packed his lunch, ironed his shirt and tried to be the support he needed. I put on a dress and makeup and had a hot dinner awaiting him every evening. I made sure the kids greeting him properly. I wrote him a heartfelt letter, letting him know I respected his dedication to our family, for the long hours he worked, was proud of him for starting a company and was impressed at its success, I respected his leadership and our traditional family roles, how I felt blessed to be able to be a stay-at-home wife & mom and homeschool the kids, all because of his heroics. He was terribly upset, and didn’t speak to me for a week upon reading my letter (Uggh! The dreaded silent treatment. ), because I didn’t compliment his body or bedroom technique, or describe how much I missed him in the bedroom when he was too tired to stay awake, etc. My letter was almost entirely focused on how hard he had been working, and so he felt he was nothing more than a paycheck to me… I am sure the exhaustion and stress of starting a business heightened his sensitivity, but I should have known better! I learned then, that you have to give frequent praise, and never focus too much on any 1 trait, but rather, praise everything with as much variety as possible. Praise the whole package. Praise his choices and decisions, too. I agree with Brittany. In marriage we quickly find out how to speak with our husbands. Each individual man responds to edification differently, so please keep edifying your husband the way that you know best! Discernment is a must! Thanks for sharing with us Cindy, and bringing up a great point. Thank you for this article. Great suggestions and confirmations. My husband and I just celebrated our 35th anniversary. One thing that I’ve learned it is up to me to set the tone in our home. I play praise music, constantly tell him how much I appreciate him, love him and am proud of him. He owns his own business, is a leader in our church and the pillar of our family. Your advice is what I have been doing for the last 16 years. God is blessing me with a better husband every year❤️ I give this advise to some of my friends, others would just respond, “no, your husband is different from mine, your husband is just naturally a good husband”. I pray for them for a treasure is already being openned right in front of them but still fail to recognize it. I guess some just refuses to BUILD. I suppose some people do naturally make better husbands and wives, but that doesn’t mean there isn’t hope for all of us! Thanks for sharing. I’m working on being a better builder of my house! Thank you for sharing this. It’s so good to be reminded of it. I came across a verse a bit ago and It helped me so much in building up my husband. Instead of nagging my husband to death about taking out the trash, if I *genuinely* say something like, “thank you for always taking out the trash for me, it a small thing but it really helps me so much”. The trash is miraculously taken out later that night without me asking! It’s so easy to tear down our homes instead of building them up. But God mad us naturally more responsive to praise- we should use it to our advantage! Thank you for these practical ways to help us!! I need Help with how & what to say to speak life! What a wonderful list. I have come to realize that I have naged him more than praised him. He has even said so. My brokenness has become a factor in this and I am seeing a counselor for it. However I do need it make it a priority to praise him often. Thank you for the reminder as well as for tips. Well, I gave my husband these comments and he rejected them saying he didn’t need it (harshly spoken). I persevered for months and then gave up. Now he sees he needs these comments and building up, but I have nothing left to give. I opened myself up to trust him with my heart and trusted this is what God wanted me to do. I can’t trust him to be responsible with my emotions and feelings. Appreciate this information, I honestly thought I would read something I haven’t already tried. I have a couple other articles that may be more applicable to you: equippinggodlywomen.com/marriage/how-do-i-respect-my-husband-when-hes-a-jerk/ and https://equippinggodlywomen.com/marriage/why-i-didnt-choose-a-marriage-that-would-make-me-happy/. I hope you find them more helpful. This list really helped me. I took a few words from your list and the rest came naturally to me as it spiralled with all of my husbands wonderful qualities. I left a message on his phone so once he finishes work and is exhausted he can then see the message and I know it will encourage him and lift his spirit. God bless you for your encouragement too. Thank you!!! Beautiful I am ready to try pray for me!! I really loved this article. I am still single. However, I am currently dating a guy with the intention of marriage. Growing up my grandmother always instilled “building up ones husband” into her grandchildren. My grandparents have been married +60 years and are still super close. I really appreciated reading your advice and reading the comments. I wish they had classes young women could go to to help prepare themselves mentally for marriage. I just wanted to let you know that your article is helpful for unmarried women as well. Sorry I’m late to the party. I’ve been married 26 years and my would complement me during the early years of our marriage. No matter how small my salary or title, she could make me feel like a king. Fast forward 25 years later and she now says the most degrading and hurtful things to me and rarely ever complements. At first this was very painful and damaged my self and damaged my self esteem. However, our marriage has become so strained that I do not want her to build me up. Why allow a person to build you up when they can tear you down at will. I am building on the solid rock. All other ground is sinking sand. If she by chance complements me it would be icing on the cake. It has taken a lot of emotional strength to get here, but I have to be guarded and not render my heart to a person who has tried to damage it. Have you tried speaking to someone about your relationship? It’s not too late to fix it if you’re willing! Greetings and God bless you. First and foremost thank you for the work you do. I came across your page tonight in search of guidance on how to be the type of Christian man my Girlfriend deserves. We are not married YET but hopefully you can still give me some advice. I had pretty much given up on a wholesome Christian woman due to being cheated on and dating woman who pretended to love God due to their upbringing. I know my worth and I know I am a good man and I love God but my past has instilled so much insecurity in me. I wholeheartedly recognize this, but it still eats me up and I since we are doing our relationship Gods way I feel th devil is fighting hard to tell me that she’s too good for me, and she is! It’s amazing how well God knows our hearts. 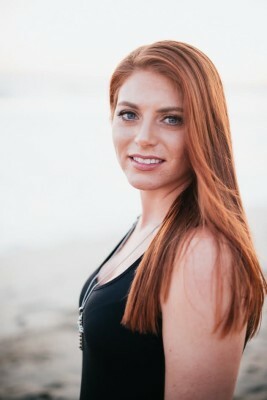 I am a very creative and smart man, but I could never have dreamed up a woman as stunning as my Girlfriend. She loves me and is such a caring loving gentle woman. That’s where I come in and always doubt her and even though I know we are good, somehow I can’t accept that she chose me. I’m actually meeting her parents tomorrow for the first time and I mean any other man would be extatic, but all I can think about is losing her. I’m so worried about losing her that I can’t enjoy the love unfolding before me. She knows this, we share everything. I share my heart and burdens with her. I feel if I can’t change my insecurities soon I will lose the most stunning creature to ever walk this earth. We have spoken marriage and she has met my family, yet I still lose sleep and worry. I pray daily, but my fears just over power my thoughts. Please I apologize for the length but I desperately need help before I actually do push away this godly angel of a woman. She’s sitting about four feet from me with zero clue of how madly in love I am with her. P.s. to any man or woman who has given up on love, know this, I thought all the good ones were taken but, here comes God and just sends me a woman of such grace and caliber that I’m speechless to this day. I’m 31 and have found my other half. Ok rant over. My thoughts are scattered I apologize.